I have been working professionally in the industry from a very young age, and as a current working actor, I know what is happening in the audition rooms, and how to help guide & teach young actors so they can grow and be confident. Not only have I taught for over 5+ years, but I have performed with actors of varying ages, which has helped me to really connect and make sure I can help students find age appropriate material that they can identify with & enjoy working on while they navigate what it means to be an actor. Chelsea delivers an exceptional lesson experience and ranks in the top 15% of our teachers nationwide. Hi there! Looking to work on new audition material, prepare for a callback, improve your cold-reading skills, and more? I'm eager to work with you! I'm a professional working actor/singer who has been in the business since I was a child, and after years of working both in Los Angeles & New York City, I'm looking to create a studio where I can help others hone their craft in this profession. Whether your child is new to the acting business or you're a pro who wants someone to coach callback sides, I'm here to dedicate my time & skills in a nurturing environment that will yes, push you to grow, and ultimately get you the job of your dreams! Proud alum of Wagner College. 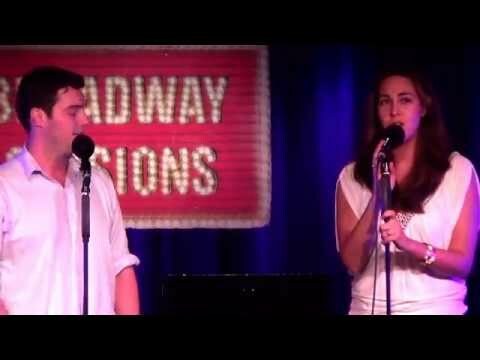 NYC performance at Broadway Sessions, singing a duet from the musical "Bridges of Madison County"
Chelsea Vann. Headshot by Blake Gardner.